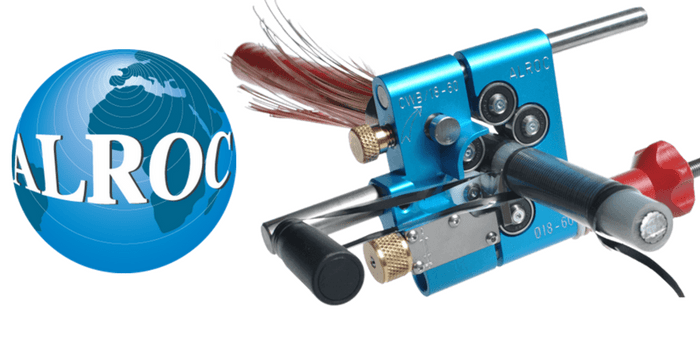 Alroc cable tools are used by MV-HV jointers to remove cable insulation and provide excellent cable preparation prior to the installation of joints, terminations or connectors using cold shrink, heat shrink or push-on type technology. 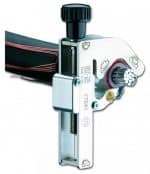 Alroc tools strip or remove outer cable sheath, semi-con screen and cable insulation from medium-high voltage cables: this includes polymeric insulated cables such as XLPE, EPR, PVC, PE. The cable insulation provides electrical insulation to the conductor at voltage from the outer screens at ground potential – the insulation will be of sufficient thickness to withstand the electric field under the rated and transient operating conditions. XLPE insulation is a natural colour, EPR is white (lead-free) or red/pink (contains red lead oxide as a stabiliser). 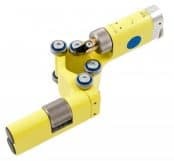 ➡ For further information about Alroc cable tools for removing cable insulation from MV-HV cables please see below.